6.39-inch OLED capacitive touch screen, IP68 waterproof, 3120x1440pixels. Kirin 980 Soc Octa-core 2.6 GHz, the world's first 7nm chipset, Mali G76 GPU. 4200mAh battery, 10V/4A Super Charge supported, 15W Huawei wireless quick charge. 3D Face ID Unlock and in-display fingerprint sensor (Only for 8GB RAM version). The 6GB RAM version only has Face ID, and 8GB RAM version has both Face ID and Under Display Fingerprint sensor. The Mate 20 Pro (UD) has an in-display fingerprint sensor and Huawei claims it is 30%. faster than that of the previous generation. The front camera works with a 3D face unlock system to keep your phone secure. The face unlock system is safe enough for transactions. It also has a 3D model scanning feature which allows it to scan objects which can be used in AR mode. Re: The global version is sent from Hong Kong, and regular version sent from China. The specs are same. I am interested to buy the 8GB/256GB Twilight Global Version. Q1: When you say Global Version, what you mean by that? Is it the Chinese version without Google PlayStore buy you have installed separately the Playstore and Google Services? Q2: There are report about Green light/Screen on some of Huwaei Mate Pro devices. The one you sell is it OK? Q3: Some report about “Flickering Screen”. If we find any of those above problems wit your device what can we do? Re: There is no difference on specs for Global version and Chinese version. Because Google is banned in China, so Chinese version hasn't Google Play store, but we install the Play store to all phones before ship out. The software is same, EMUI base on Android, support OTA updating. 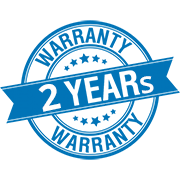 Huawei has fixed the screen problem, and we provide 2 years warranty for all phones. Is this Global Version ? Is the phone global version? Re: No, it's not global version, but the software works for international users, multi-language with Google Play. I think it's most powerful smartphone this year, amazing camera improvement and larger screen, better option than samsung galaxy note 9 and iphone xs max.